I sit in the open Land Rover, a cold breeze tickles my nose and I can feel the weather changing. There was even a few down pours the last couple of days. It is quiet around me, the happy chirping of some birds adds peacefully to the scene. 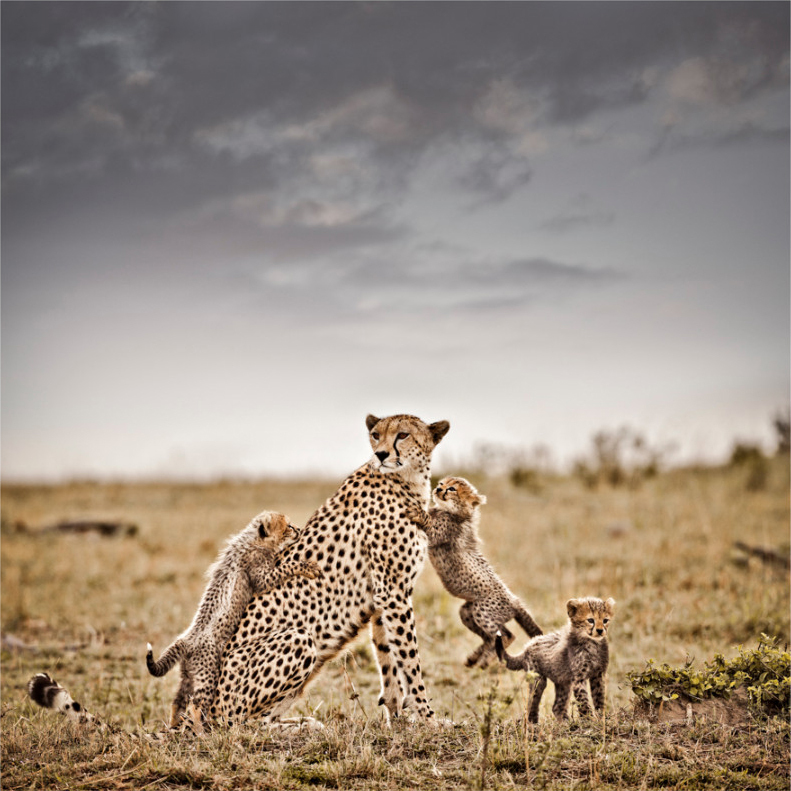 My eyes focused on Malaika (“angle/good spirit”in Swahili), the extraordinary cheetah and mother to six cubs. We have already spent a couple of days with them and she happily tolerated us. Something in her eyes shows that she is stressed as her cubs are hungry, they have not eaten for two days. 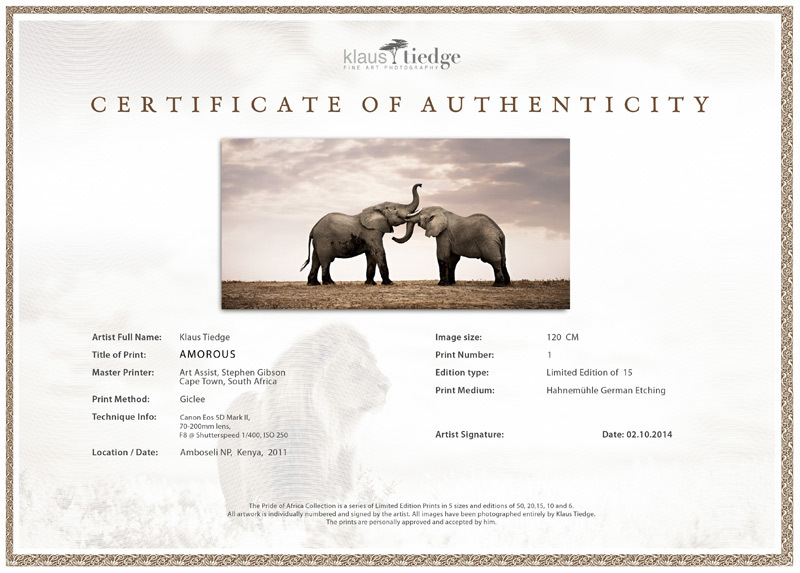 Malaika cannot afford another unsuccessful hunt today. Her head moves constantly in different directions in search of some prey. Despite the hunger her offspring is quirky as it can be and competing for their mother’s attention. The sky darkens and Malaika’s stares into the distance. She looks so superior and strong. One of the cubs hugs her from the back. While I am documenting this with my camera, two other cubs come running by and jump up from the front. Malaika stays focused. All of a sudden, wind gusts rushes over the plains, then … the clouds open up and it starts pouring down. We leave immediately because we know that the tracks are worn out and muddy and that it will be challenging if not impossible for us to cross the Talek River now. When we get the riverbed, the water is already quite high. When we are half way through I think the worst is over and done. But no … I hear the wheels spinning. We are stuck! We try to call the camp for help with our cellphones but for all our bad luck, both our batteries are flat. The rain gets stronger and stronger and our nerves are on the very end. We try to reach the camp via radio. Nothing. After a few tries another camp answers and they promise to send someone out. We still wait, as it gets dark. In our headlights I see hippos and hyenas are coming closer. A few minutes later we hear the sound of a diesel motor. I feel relieved. The sent vehicle manages to pull us out. When we return to camp the fire burns merrily and around it our waiting friends and colleagues wait excitedly to hear my story. What a gift! These are the memories and experiences nobody can take away. 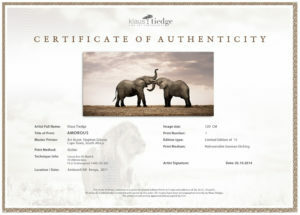 I feel truly thankful to bring home such a unique photograph which I am sure, will be a great asset to the Pride of Africa Collection.